We already highlighted Jacob deGrom and Mike Foltynewicz in our 9/11/18 picks article. We also highlighted the Oakland Athletics and Atlanta Braves as a popular game stacks at their respective team price points. Here we will look at some other (possible GPP) considerations. I am not thrilled with his high salary on DraftKings(second-highest of the season) and that is the main reason he falls to the GPP article today. That is really the only reason as he has been solid all season with a 3.36 ERA and has been even better since joining the A's as he has held opponents to two or fewer earned runs in four of his five starts for a 3.18 ERA and 3.46 xFIP and that includes the one blowup game. The upside is somewhat capped as he sits with a 19% K rate and 8.7% swinging strike rate but the matchup is terrific as he will face an Orioles team that ranks 28th in runs scored on the season and while they have been slightly better against righties, they still rank 27th in wOBA(.305), 23rd in wRC+(90) with a 23.7% K rate. The A's are big -185 favorites at as they try to hold on to their wildcard spot and possibly catch the Astros in the AL West. Fire up Fiers in GPP's on both sites. Let me start off by saying this pick has a ton of risk as Urena has been the epitome of a roller coaster ride from a fantasy perspective. he has given up four or more earned runs in 12 of his 27 starts but has also held opponents to two or fewer in 10 starts. While he isn't likely to get any run support tonight as the offense will face deGrom, he is cheap enough and can still hit value against a weak Mets offense. 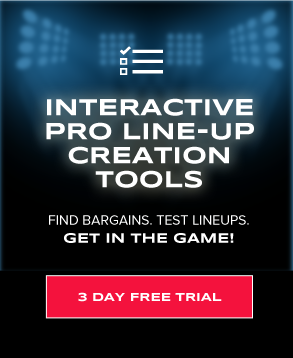 He has provided 20 or more fantasy points on DraftKings(3x+ value at this price) three times in his last six starts so for GPP I think he makes a decent SP2 and could even be considered an option together with deGrom in a possible low scoring game. I love the Mariners tonight for my top stack when looking at PTS/$ value as not one hitter is over $4,600 on DraftKings or over $4K on FanDuel making it fairly easy to fit them with deGrom or Foltynewicz. They also get an elite matchup against Bryan Mitchell whois walking over six batters per nine on the season while only striking out 4.22 per nine and that has hurt him in a big way as he sits with a 6.58 ERA/6.06 xFIP. 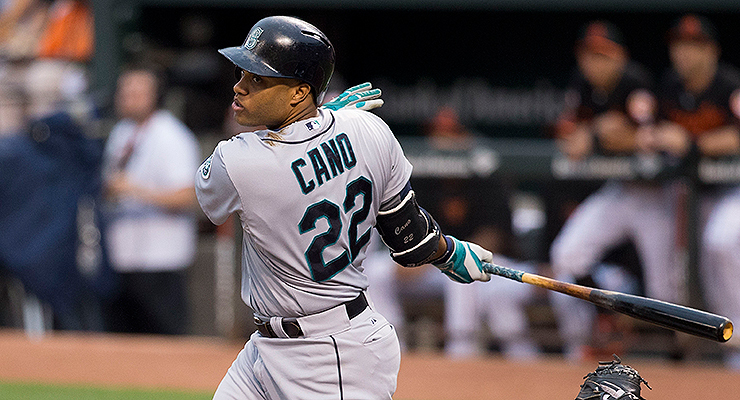 He has also given up a ton of power with nine home runs on the season(17.6% HR/FB) with a 40.3% hard contact rate. I like starting my stack with the Top 4 in the lineup(shown above) and I also mentioned Kyle Seager in the main article as GPP-only play with upside power. 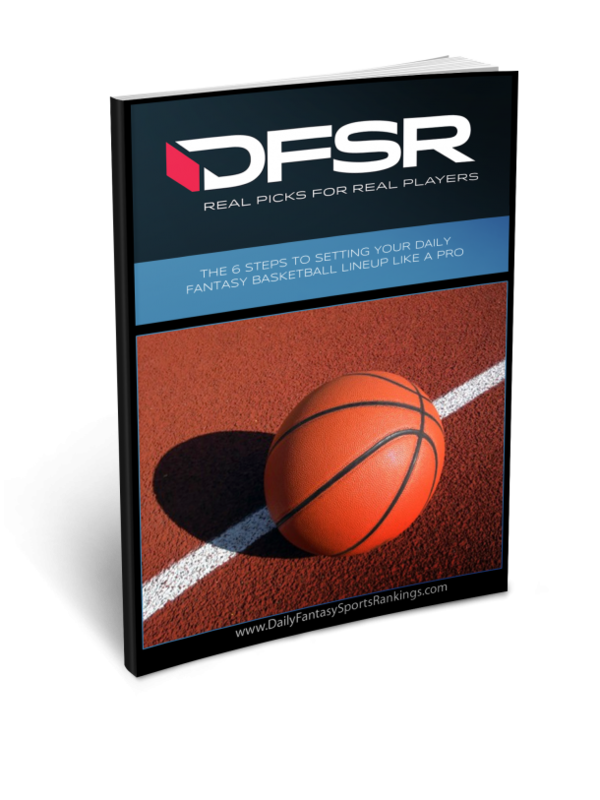 GET OUR FREE EBOOK ON DAILY FANTASY MLB and NBA BY CLICKING HERE!